The year is 1959 and the world is ready for a new generation of medium format camera’s with exchangeable lenses. Not Rollei. In splendid isolation they decide that next to their the standard 80mm model, there will be separate 50mm and 135mm Rolleiflexes. The complete photographer should be able to afford three bodies after all. This somewhat strange reasoning created two very special and rare camera’s. The Tele- and Wide angle Rolleiflex. 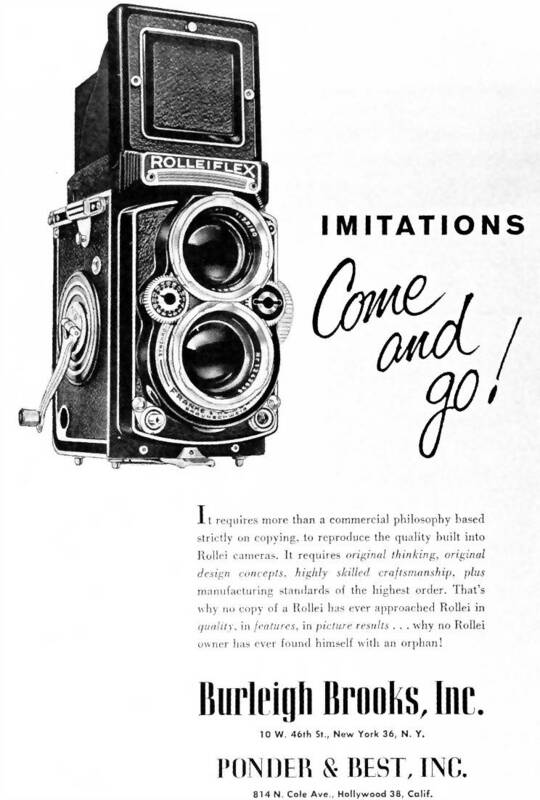 The Tele Rolleiflex was developed from the then current E model. It received a new front panel with two 4/135 lenses of which the taking one was a Carl Zeiss 4/135 Sonnar. An exchangeable F finder was added for good measure.